Let us come start to the point. How many of you love being pampered with a relaxing massage which reliefs you from all your troubles, pains and anxiety? We all love that and some time or the other we have wished to get one in the stressful times. The comfort and relax feeling that you get when after a tiring day you get a much needed full body or a shoulder massage is completely unmatchable and it cannot be explained in words. In case if you don't have an idea about the various massages that are available and how they can benefit you, then let us help you by telling you about the different types of massage and their health benefits. Massage is working and acting on the body with pressure. There are various ways and techniques that use hands, fingers, elbows, knees and many other body parts for making a massage worth. Massage is generally seen as a treatment for the various stress and pain. This body or point massage is not just beneficial to relax but is also very essential when encountered with any health issue muscle cramps, etc. or any mental pressure. The growth of digitalization has not just improved and impacted the technology but it has also made the various nations connected with globalization. With bringing together many sectors and benefits together, it has also helped in compacted the world of massage. Now, you don't have to be physically available to any particular country for enjoying the specific massage. You can get the benefit and enjoyment of any massage type that you wish for. Let us quickly take a tour of the various massages available. This is the basic massage that is used in every massage clinics, gyms, wellness centers, etc. The therapist makes the use of oils or lotion to start with. They initially target the problem areas by reaching the targeted part with specific movements post the general movements with hands. There are many different movements that will be used according to the problems that you are facing with. This massage is very beneficial in releasing chronic patterns of tension. This is very similar to the classic massage having a little difference of applying greater pressure wit slower movements. The therapist focuses on one particular part of the body at one particular time and acts firmly on it so as to release the maximum pressure and tension. This type of massage is quite relaxing and rejuvenating. 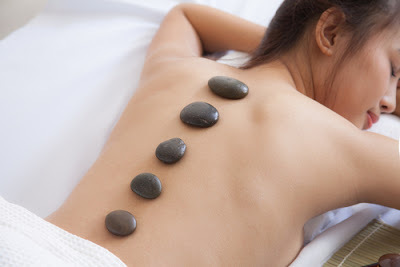 This type of massage uses hot stones which are generally basalt- a volcanic rock retaining heat well. The therapist uses these hot stones and places it on the targeted body parts. He also holds these stones while giving massage to the client. The main idea behind using these hot stones is that it can loosen tight muscle cells with its warmth making it very easy for the therapist to reach the tension muscle quickly. Should first be consulted before taking this massage in health issues like blood pressure, diabetes, etc. This is the massage that many people demands. This uses essential oils for massage. The scented plant oils or essential oils are added to the massage oil increasing the value of the oil. These essential oils are extracted from different plants and flowers which other than generating scented fragrance are the good source of relaxation. Different flowers are known to serve a different purpose of massage. Roses and lavender are known for its ability to promote relaxation while Lily is supposed to target stress. The therapist uses pre-blended oils to make client relax and energized. Beneficial for a headache, back pain, digestive disorder, etc. This form of massage is the most energetic results of all the other massage types. It is a complete mixture of yoga, stretching, and body pressing is taken care of. It is done to improve flexibility and client's motion along with releasing stress and depression. You must be ready for the flexible compressing of their body. In yoga, the therapist makes it clear to maximize stretching in a sequence of activities. Well, these are some of the most popular type of massages that one can use in order to get rid of their physical and mental stress and pains. There are many other types of massages available which serve many different areas of problem. The person should select the right type of massage as according to what issues they are facing. Choosing the right massage therapy has become the much-needed thing today. It can help you get over the various stresses, pain, body problems, killing the anxiety and a helping hand in managing stress. In today's competitive world, we need to take care of ourselves in order to catch up with all the coming challenges and work pressures that come our way. We would strongly suggest you try for any of the massage therapy and see the amazing results by themselves. Let us know for any doubts that you have and also waiting for your comments suggesting any other better and effective massage type that can yield some amazing and beneficial results.